It’s taken me so long to read this, and not for lack of wanting to. I even had it started for far too long and just stalled on it. Admittedly, that’s because it’s very short on one of the main characters of the previous books: the Great Detective archetype, Vale, hardly appears at all apart from at the beginning and end, and doesn’t play any part in the major action of the book. Still, it’s a great romp, as ever, this time taking Irene and Kai to a world with little magic, where they have to navigate through Prohibition era Boston and New York. The dragons also feature heavily, and the issue of Kai’s family finally really comes to a head. The next book is definitely going to have to be different; that might be a good thing, in terms of changing up the plotline and keeping things fresh. But I’m getting ahead of myself. In The Lost Plot, Irene discovers that another Librarian is violating the Library’s neutrality by working directly for a dragon, in a matter of dragon politics. That interference can’t be tolerated by any of the parties, so Irene is sent by Library security to figure out what’s going on and fix the situation — and as usual, all the blame will fall on her if she fails. Chasing the errant Librarian, Kai and Irene end up in a Prohibition-era USA, swapping smart talk with mobsters and dodging the cops as best as they can. Since dragons are involved, Kai has to be especially careful: at some point, he’s going to have to make a choice about where his loyalties lie. As I said, it’s a romp in very much the same vein as usual for these books. I’m not sure how I feel about the development of Kai and Irene’s relationship in this book: I feel like there’s been a bit too much will-they-won’t-they with both Irene and Kai and Irene and Vale, and honestly I was at a loss for how it was going to turn out. Now it has turned out, at least for now… I’m a bit disappointed. I did always feel that both potential relationships were a bit of a distraction: I just wanted the three of them, all together, all working on their problems, and all trusting each other. An intense relationship, perhaps, and one that didn’t have to become romantic — it was just pushed that way, almost as if the author can’t see any other way for it to turn out. Another reread! Mostly because I felt like it, and partly to refresh my memory of the series to read The Lost Plot. It remains tons of fun: heists, steampunk trappings, magic, dragons, fae and most importantly, books. I love Vale and Kai and the way they interact with each other and with Irene, and Alberich remains a creep-as-heck villain (come on, he impersonates people by wearing their skin). The whole lore of the worlds, the way Fae work and the way that chaos/order affect magic… that all makes a good background for a story that ticks along at a fast clip. 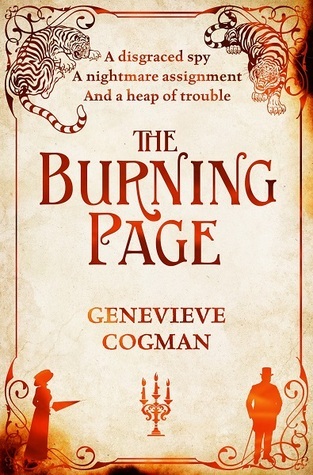 It feels like Cogman’s put everything and the kitchen sink into these books (especially with the more sci-fi trappings of some of the other worlds) and it works. So yeah. No surprises I’m giving it a high rating again. It’s not perfect, perhaps, but it’s so much fun. Full disclosure: I did receive a review copy of this, but I also bought a copy. I was really, really looking forward to this book, and for the most part, I wasn’t disappointed. It continues to be a fun romp, centring around that idea of an interdimensional library preserving all kinds of variant texts. The warmth and love of books is still a key feature, and the characters are the same group we’ve come to love. 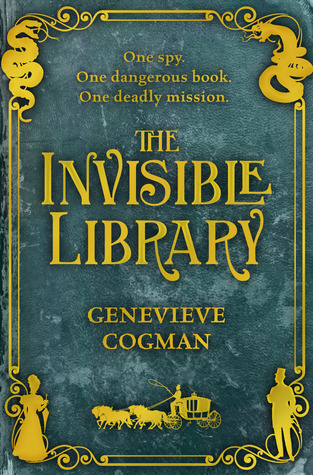 While the last book was a bit of a break from overarching plot, this one returned to it: in this one, Irene has to confront the rogue Librarian, Alberich — and he has some very big targets in mind this time. I especially loved the visits to alternate worlds; I’d love to see more of that. The visit to a Russia ruled by an immortal Catherine the Great was pretty awesome, and there’s so much room for Cogman to play with all kinds of alternates. They aren’t the main point of the book or plot, but they’re still fascinating little microcosms of things that could be. I’m relieved that this isn’t the last book, because there are a few more mysteries introduced here. Irene’s parentage, where the Library is going now… it feels like the beginning, rather than the end of a plot line. And if I have any disappointment about this book, it’s in that: somehow, the seeming end of the story arc didn’t feel final enough. There may be good reason for that, in which case this book would work better on a reread after reading sequels; for now, it just felt a little odd. It felt like a return to the status quo, without being knocked as far away from it as I’d expected. There’s still plenty to wonder about, and plenty of room for more stories, thank goodness. I think I sound more critical than I really am; I enjoyed the book a lot, and read it in almost one gulp. The whole series is a lot of fun, and I definitely recommend it — especially if you need a break from reality. With The Burning Page coming out, I decided to reread these two books. Just, you know, to refresh my memory… and because they’re a lot of fun. 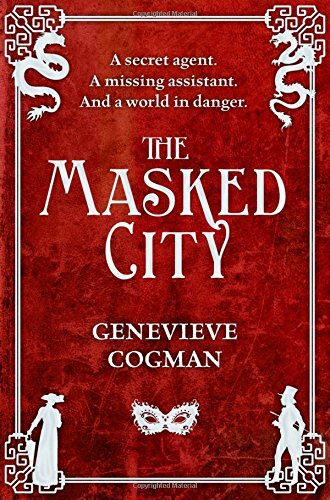 The Masked City was similarly fun this time round, giving the reader more of the fae and the dragons, more of the background. We get to know a little more about the importance of the Library… and we get adventures and hijinks with Vale and Irene. (Mostly. Kai gets captured early in the book, so we don’t see as much of him.) There’s a nicely high-stakes plot, and everything rattles along at an incredible rate, as you’d expect. And satisfyingly, for a reader, words — Language — give Irene one of her most powerful tools. The books play in a fun way with tropes, and the concept of the library is bound to appeal to any bookworm. Now let me hurry up and unearth the third book from my box of books. I don’t know why I was rather hard on this book the first time I read it. It’s a romp, and there’s a lot of seemingly disparate elements — mechanical centipedes alongside the fae — but it comes together really well. The main characters are Irene, Kai and Vale, and they’re all pretty fun. Irene is capable, but not infallible. Kai is a bit of a mystery, but also a decent person who genuinely forms bonds with those around him. And Vale is the archetype of a great detective, which is rather fun — especially if you know your great detectives. Brandamant is also interesting: very different to Irene in some ways, and yet I think they do have commonalities, and perhaps that’s why they don’t like each other. I still wish there was more time spent in the Library itself, but now that I reflect on it, that’s more the book lover in me than the plotter. The Library would severely cramp the action: I’m sure there is a story that would work with that setting, but this isn’t it — these characters aren’t the ones. Not in this book, anyway. It’s a fast-paced romp, and on this reading, I completely devoured it and loved it. I’m almost tempted to give it the full five stars.